this weekend we traveled to Mabini, Batangas to go snorkeling. this is the hobby that we grew up doing ever since we were kids. we do it almost twice a month along with my father and my brothers. 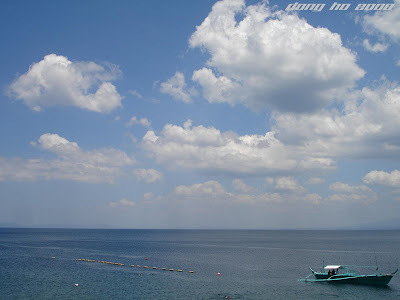 so doing it on a summer is a good time for a calm sea and doing it in Anilao makes it very special. 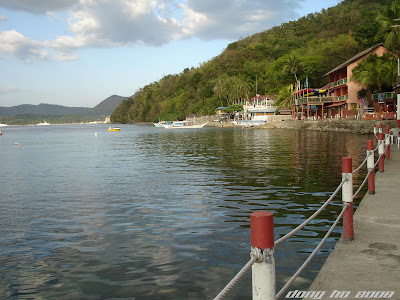 Anilao is one of Philippine's pride in snorkeling and scuba diving and not for white sand beach lovers. 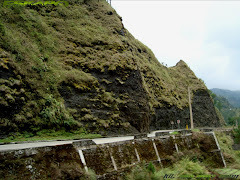 it is approximately 3hours from Manila since there are ongoing road repairs in Cuenca. this dive haven shelters many endemic sea creatures because Anilao is connected to Balayan bay and the Verde passage. 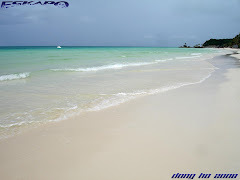 it is teeming with a healthy marine life which means that corals are abundant. 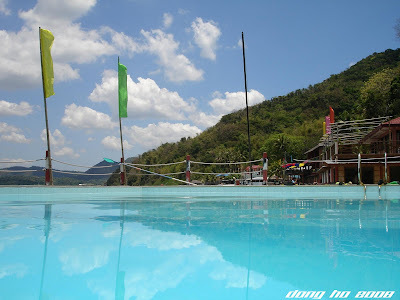 when you reach the town of Mabini, you will see resorts on all sides. 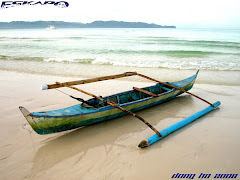 most of the time, we choose Dive n Trek and Sombrero island but this time we picked Anilao Outrigger. from afar we can already see how beautiful the dive site is. there's a wide snorkeling area making me decide to just take a few shots of the view and immediately dived into the waters of Anilao. for snorkelers, it is important to have a calm surface water because waves creates a blurry undersea view. on that day, sun was up and the weather was perfect. sunlight may bring sunburn but it is an advantage since it produces enough light for us to clearly see the corals and the fishes. let me apologize for not bringing an underwater camera. i could have shared to you its beauty from below. i'll do that next time. 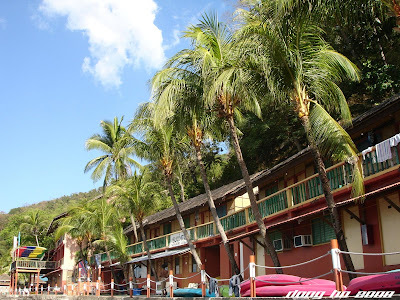 you can easily spot crabs on the walls of the sea barriers of the resort and fishes can be seen from the pathway. clown fish can easily be spotted since corals are in abundance. the picture below shows scuba divers near the surface. 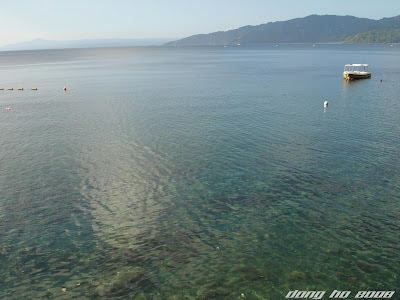 Anilao Outrigger has a wide area that's less than 20feet deep, so snorkelers will have a really good time. 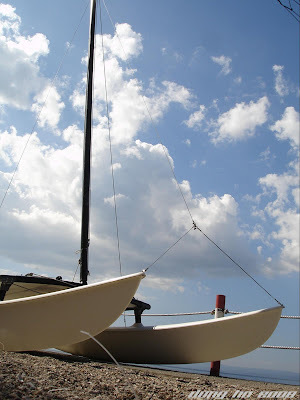 it also caters to people who loves kayaking, pedal boating and even wind surfing. from the resort, the view is perfect as it overlooks the Balayan bay. 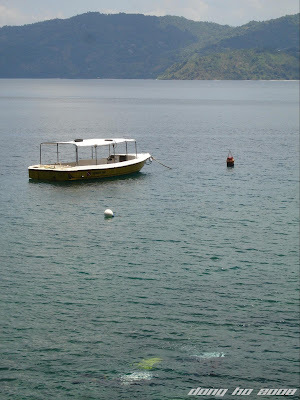 so you can sit down on one of its balcony and watch divers plunge and motor boats traveling to the other islands. the food was good and the people inside the resort was limited to its capacity making our stay more private. there's a swimming pool on one side that caters the kids and for scuba diving lessons. 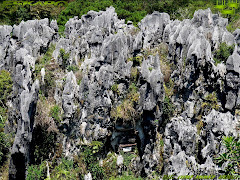 the tip most part of the resort is a big rock that adds view to its wide area and crossing it leads you to an even wider view of the Balayan bay. 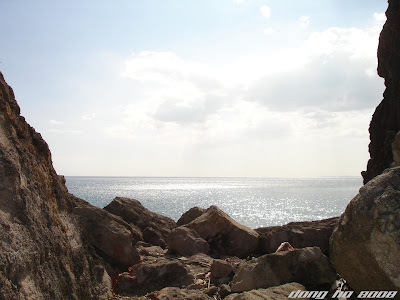 the exciting part was actually to look for the cross that was located in the far middle part of the snorkeling site. it was about 15meters deep in that area since it was high tide. we were very lucky to spot one sea turtle near the cross. according to the resort staff, there are turtles living in that area. wow! that's a good sign that the area is indeed a sanctuary for sea creatures. in the afternoon, we did fish feeding to see fishes coming in groups to as close as touching your body. you can see them surrounding you. that's one of the best part in snorkeling. late afternoon, we enjoyed pedal boating and kayaking. i was bringing with me my camera to at least take a shot of the underwater view and a shot of the resort from the snorkeling area. 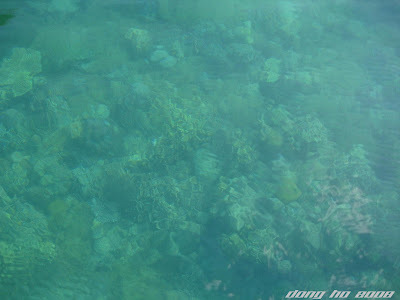 the picture below shows a view of the corals from the pedal boat. 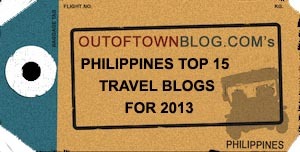 Anilao Outrigger Resort offers a really good service because the staff are really friendly. they really took time talking to their customers. 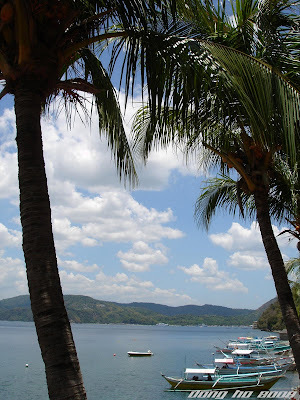 islands like Sombrero, Maricaban, and Verde are just minutes away from the resort. these islands are known for its best diving sights of endemic species. Anilao is a dive sanctuary that tells me how blessed i am to have lived in such a nice tropical country. 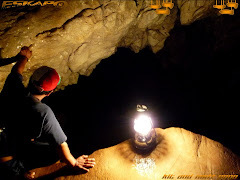 here's a video from youtube that shows a glimpse of what Anilao can offer. wow nice shots. love reading your blog. makes me want to go to anilao. these are such breathtaking photos! thanks for sharing. thanks dphotographer, i think you really should go there. rebecca, thanks. my pleasure to share every experience. naks ganda talaga ng anilao! sir exchange links naman po. Very good blog, with marvellously posts, improbable photographs, and informative comments! denis, already added you as a link. thanks. 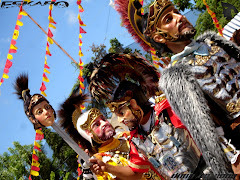 jericho, i love batangas even though i'm not from that province. kostas, thank you. thank you. I will keep this in mind. I can't dive but I like snorkeling. sidney, that's great! thi surely is a "must do". dra. rio, anilao is just three hours away from manila. 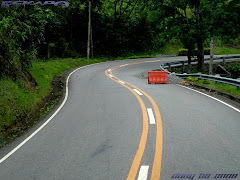 kayang kaya. lalaine, you just need to invite some of your friends. go out and discover philippines. Nice place for snorkeling, lucky guys !!! Kala ko sa anilao, Iloilo.. 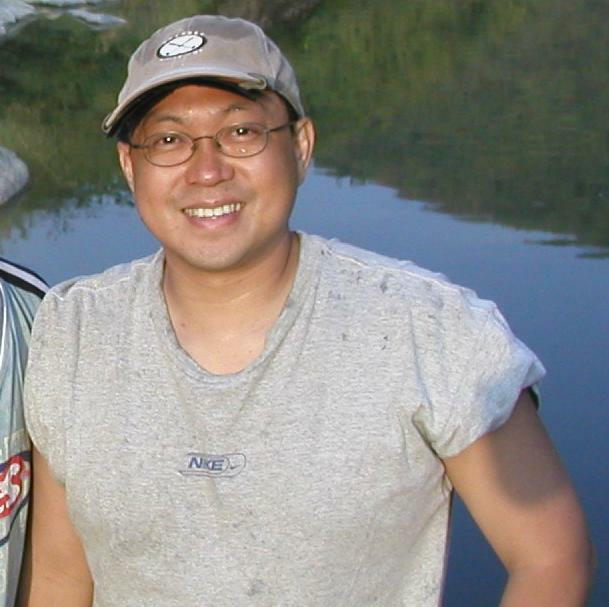 I was in Anilao many years ago and I found the place to be quite beautiful. 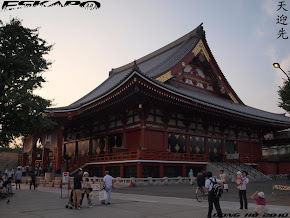 Through your pictures, I noticed that the place has gone through many changes. I do agree with what you said that the place is more for divers than casual beachgoers. Thanks for sharing your information about this pretty place. Thanks too for visiting my blog. You know... These photos are enough for me to fly over there right now and tour your fine "neck of the woods!" Thanks for sharing. louis, thanks. lucky indeed. you are always welcome to visit the philippines. couen, hehehe... it's anilao in batangas. pan, it's good to know that you visited this place once and you like it. divers from different countries usually never fail to visit anilao. thanks dave. you are welcome to visit the Philippines. Great photos Dong! I used to dive in Anilao too... gosh, it was way back in the 80s and 90s! And these photos bring back memories. We are truly blessed in the Philippines that we have such sanctuaries like Anilao. I've been to Mabini before and I loved it. I hope I could go back there in the future. Snorkeling would really be fun then. toe, that was years back. you need to go back. 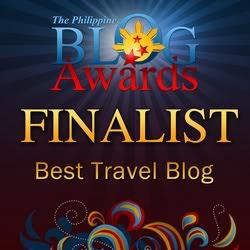 i suggest you try sombrero island or verde island this time. sindi, thanks. we surely had a great time. micaela, you have the whole time of summer to be there. ely, try it. one of the best thing to do is fish feeding. r-yo, calm sea on summer is the perfect time. I've never been to Anilao yet but its definitely on my list. Great photos! My visit here never disappoints me. Great pics...as usual...and informative commentary! 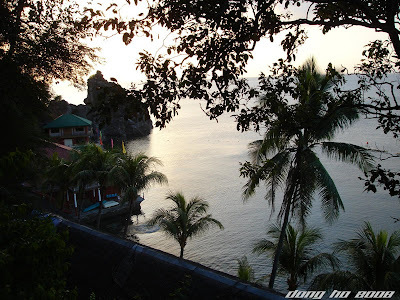 Wonderful photos of Anilao. Some of my friends enjoy diving but I've never tried it. I prefer snorkeling. It's been a while since I last enjoyed this kind of fun activity. I prefer to stay in PlanetDive, ElPinoy(Owned by GabbyConception), or DiveSolana during Amihan season and Dive&Trek during Habagat. Dive&Trek has a GREAT house-reef where one can snorkel or dive - lots of marine life and they have old bread you can use for fish-feeding! The 3 resorts I mentioned above naman are great because they are near the best dive sites so you can get there faster and cheaper. allan, yes. it should be on your list . it's worth seeing these creatures in its natural environment. thanks sandy. 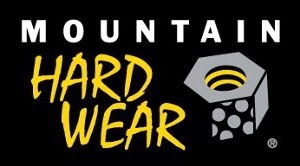 let's keep in touch through our blog. rachel, snorkeling is good enough not unless you really want to see the deep which offers a more scenic view of underwater life. demeter, thanks to that. i've been to dive&trek and it really has a good number of protected species. 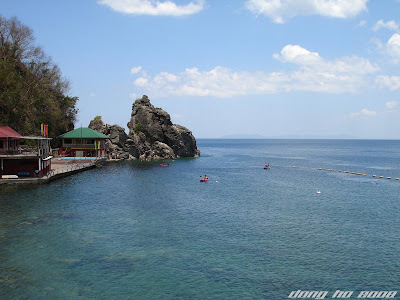 it's one of the best snorkeling site that i've visited in Anilao. never tried Planet Dive yet. i heard of Dive Solana. we'll try it next time. i also like Sombrero island. jasper, thanks. i wonder how you spend summer there. Makes me want to go on a month long sabbatical. Awesome pictures. 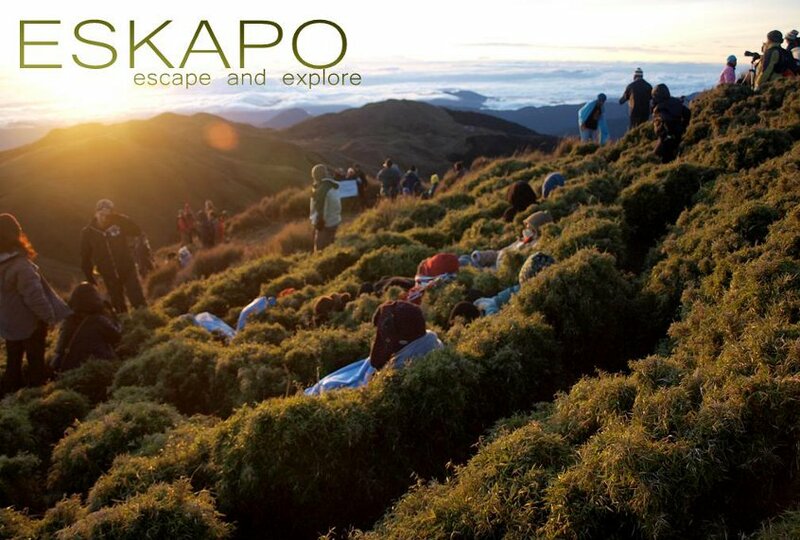 jfargo, a month long vacation in the Philippines will be a one whole jam packed adventure of diving, trekking and island hopping. 7,107 islands to visit. Lovely trip! Thanks for taking us along. ang tagal ko na napunta sa anilao mga 1980s pa yun. andoon pa ba beach house ni gabby concepcion? benjamin, thanks! my pleasure to guide you. uno, matagal na nga. alam ko nandun pa rin pero iba na ang pangalan.